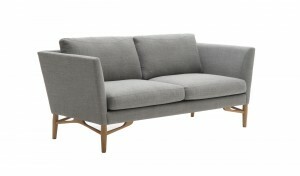 The Fjords Ulstein motorized loveseat is a wall saving, dual reclining loveseat. 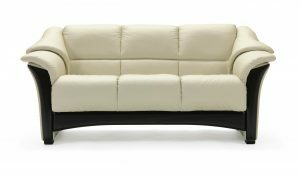 The Ulstein loveseat combines exceptional comfort and an appealing design. Each individual seat reclines with a simple touch of a button located on the inside of each arm. As you recline, the seat will slide forward and then the back will recline, allowing the loveseat to be placed closer to a wall instead of further into your space. 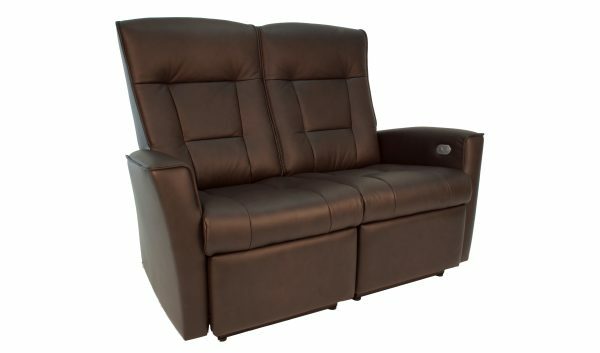 Recline in comfort and manually adjust the headrest forward and back to create ideal head support whether for sleeping or for watching a TV screen. The power mechanism will hold your desired position for you with ease. 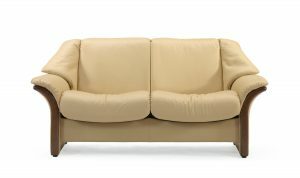 Matching three seat sofa also available. 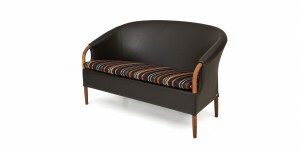 Choose your Fjords Ulstein Motorized Loveseat in numerous fabric or leather options.